Janet is very honored to have been chosen to have her artwork displayed and for sale in the Members' Gallery at the Rogue Gallery & Art Center in Medford, Oregon. Two of her paintings, Celebration and Red Apples, were chosen by the Gallery's art jury to be displayed in the Members' Gallery through December 2017. We hope you visit the Gallery to view two of Janet's latest most vivid and alive paintings. Rogue Gallery & Art Center is located at 40 S. Bartlett Street, Medford, Oregon, and can be reached at 541-772-8118. See you there! Troon Winery is pleased to present an exhibit of Janet Ekholm's current artwork. Janet is a renowned Oregon artist having been featured in Oregon Art Beat two years ago and having her work exhibited in California and Oregon. Please stop by Troon Winery located at 1475 Kubli Road, Grants Pass to view Janet's most recent paintings. Troon's phone number is 541-846-9900. Troon hopes to see you soon! 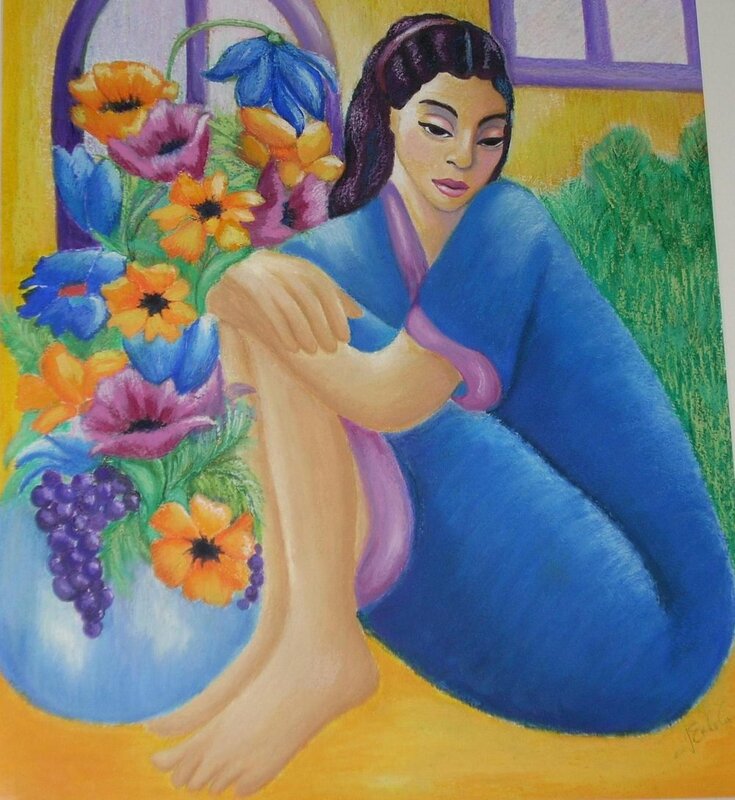 Cornerstone Cellars Winery is once again honored to announce the display of Janet Ekholm's world-renowned artwork in their Art Gallery for the City of Yountville's 2015 Sip 'n Stroll event on Saturday, April 11, 2015 from 11:00am until 3:00pm. Many old and new friends will be joining Janet for this debut. Please do not miss the opportunity of viewing Janet's current collection. Her new paintings are more brilliant, bold and unique than any she has done to date and are a true art lover's once in a lifetime experience. Cornerstone Cellars Winery is very pleased to announce that Janet Ekholm is displaying her newest artwork in the art gallery of their winery as part of the 2014 Arts in April event, a month long event sponsored by the Arts Council of Napa Valley. The winery gallery is located in the heart of beautiful Napa Valley, in Yountville, California. To purchase any of Janet's paintings, please call Janet at 541-406-0432 or the winery at 707-945-0388. Janet's newest artwork is the main feature at Art on the Boulevard during the months of December 2011 and January 2012. The gallery where Janet's artwork is currently displayed is having as its main feature for the months of December 2011 and January 2012, all new artwork by Janet. The opening reception will be held Friday, December 2, 2011 at the gallery (Art on the Boulevard, 210 W. Evergreen Boulevard, Vancouver, WA, in the Vancouver Marketplace Building). Many old and new friends will be joining Janet for this debut. Please do not miss the opportunity of viewing Janet's newest work. Her new paintings are more brilliant, bold and unique than any pieces she has done to date and are a true art lover's once in a lifetime experience. KC Cowan, the host of OPB's weekly television series, "Oregon Art Beat," and her camera crew visited Janet (and her precious dog, Mia) in her home in Corvallis this past June to do a feature on her and her artwork. The show was broadcast Thursday, February 3, 2011. Please watch the video, and you will be able to see a glimpse of an artist at work and an insight into Janet's talent and philosophy. You can see the video here. Cornerstone Cellars Artist Series presented The Art of Janet Ekholm on November 29, 2009. Janet met with admiring customers who were able to see a collection of her latest works while sampling the delicious, unique wines of Cornerstone Cellars, whose tasting room is located at 6505 Washington Street, Yountville, CA (across from the post office).